On everybody's favorites list. Admired because of its elegant shape and pattern of holly spread over all surfaces. 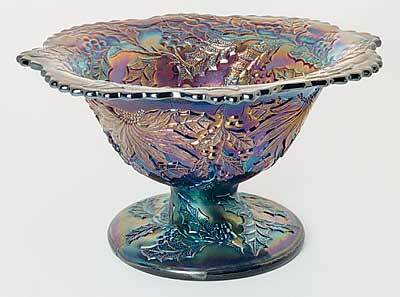 Usually great iridescence on this somewhat larger than normal compote. Christmas Compotes have been reproduced in contemporary colors.